Fusion SEO is the future of search engine optimization. 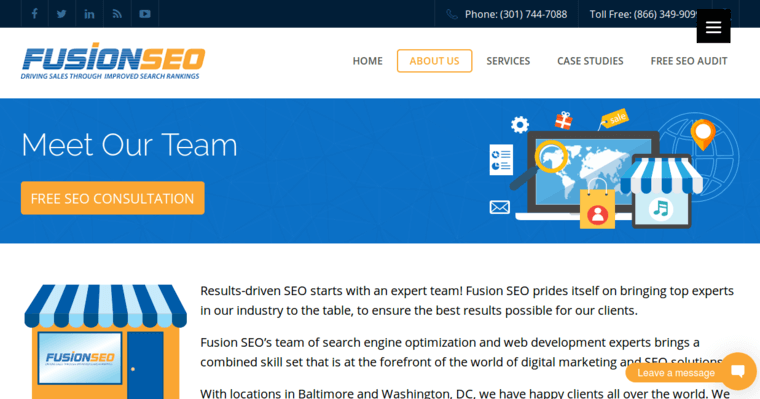 Based in Baltimore, Fusion SEO believes in organic traffic. They will use the best SEO tools and tactics to get your website on the first page of the major search engines. When this happens, you will be in perfect position to get more loyal customers. Fusion SEO will create an innovative campaign for your products or services. They don't believe in the old digital marketing policy of using the same campaign for every client. With this in mind, it's easy to see why Fusion SEO is on top of their game. 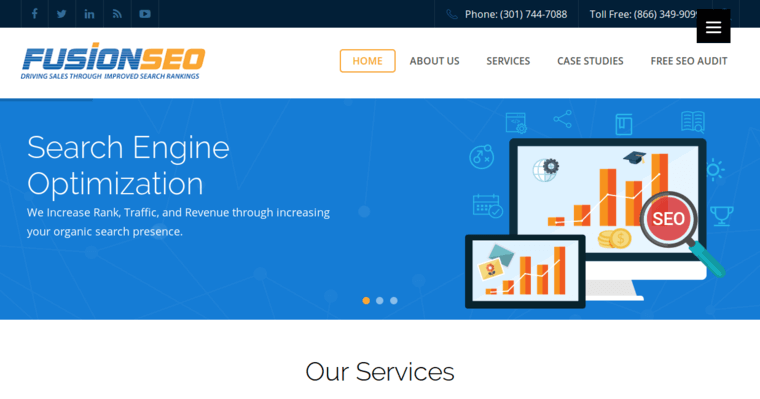 With over ten years in the industry, Fusion SEO is one of the more experienced digital marketing companies around today. They know what works and what will not work today. This is extremely important for digital marketing companies to understand. Fusion SEO is a true leader in digital marketing.